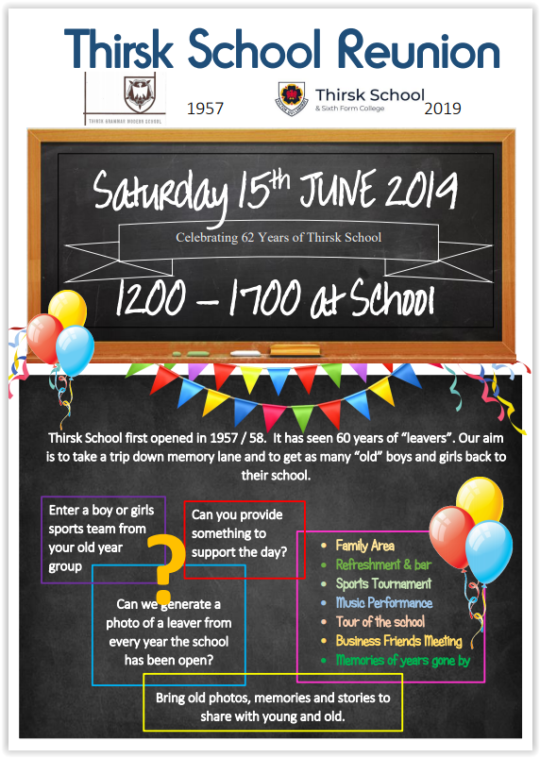 This summer we are hosting a grand reunion for ex-students from ALL years of Thirsk School and Sixth Form College. Are you a former student of Thirsk School and Sixth Form College? We are hosting a grand school reunion for leavers from ALL previous years. More details to follow in due course, but for now make sure you save the date and share the invitation with other former students. PLEASE NOTE THE CHANGE OF DATE TO SATURDAY 15th JUNE.